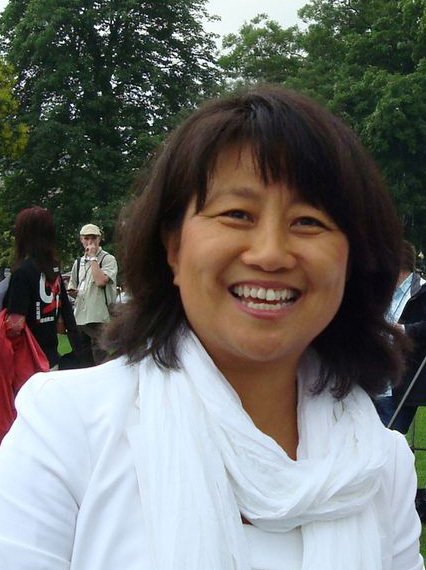 Chai Ling was one of the student organizers of the Tian’anmen protests in June of 1989. This autobiography not only chronicles her version of her life and the events leading up to the June 4 bloody conclusion to these protests, but also her flight from China, life in America, and her continued pursuit of democracy in China, her advocacy against the One-Child program and female gendercide. Chai Ling was born as the eldest daughter of parents who survived the Cultural Revolution. She chronicles the high expectations for success from her parents, particularly her father, as well as the crucial role of Mrs Qian, a high school teacher. Her national exam results were sufficiently good for her to qualify for entrance to Beijing University, the top university in China. She began studying geology but pursued psychology, a relatively new discipline that had been previously banned. She went on to pursue graduate studies at Beijing Normal University and married Feng Congde in 1988 (they later divorced). Both ended up in leadership roles in the Tian’anmen protests which began with the death of Hu Yaobang, who had been sympathetic to student concerns for reforming government corruption, advancing democracy, and greater freedoms of speech and the press. Chai Ling’s account of these demonstrations is riveting. There are the early gatherings which the government tolerated until Zhao Ziyang was ousted from party leadership. We read of her startled and fearful reaction when the label of dong luan is applied to the demonstrations, a term roughly meaning “turmoil” and applied to illegal dissidents in the Cultural Revolution. We see the leadership struggles within the student movement and their attempts to ascertain the intent of the government, which had determined to crack down on the demonstrators. She tells the story of the student hunger strikes that garnered much national sympathy and sparked demonstrations throughout the country. She describes this as kind of a “last will and testament” and argues that it simply reflected her own pessimism that things would work out well, despite international media coverage. Because she was leading the Defend Tian’anmen Square movement, she has been faulted with refusing to end the demonstrations to bring on that kind of bloodshed. She contends in this autobiography that she was concerned uppermost with students safety and that when the time came, she led the exodus from the square in an attempt to avoid bloodshed. It is clear throughout the remainder of this autobiography that this has been one of the most troubling accusations that has haunted her, to the point that she has filed lawsuits against the documentary film company (something she does not mention in the autobiography, perhaps because the lawsuits have been dismissed). The next part of the book describes her and Feng’s efforts to escape the country and the aid given by a Buddhist network in her successful escape. After a short time in France, she was able to enter the U.S., pursue studies at Princeton and Harvard, and meet and marry her second husband at a consulting firm. She chronicles he attempt to launch an IT business with him, Jenzabar, and her conversion to the Christian faith. She describes as the answer to why she was spared her new-found mission “No Girls Allowed”, advocating against China’s One Child policy and the forced abortions and gendercide of girl fetuses and babies this involves. For those who wrestle with this being an “anti-abortion” piece in disguise, her argument is that both pro-life and pro-choice people, as well as women’s rights activists should be able to agree on opposition to forced abortion and to the selective killing of female fetuses and babies. This section confronts a painful part of her own life, the four abortions she had before her second marriage. Eventually, she recognizes that three of these were forced in the sense that it would have been illegal for her to carry a child to term. Through this, she realized that her message to other women like herself was not, “Come to God and he will forgive you,” but “Come to God and he will love you, heal you, and free you.” This is the appeal with which she concludes the book. I found that the most compelling parts of the book were the vivid narrative of the student demonstrations and the kind of “fog of war” they dealt with as they sought to determine next steps and whether and when to leave the Square. I sense Chai Ling has spent her life trying to come to terms both with the students aspirations and their tragic end and her own responsibility for both. This book, to some degree represents a working out of both, with perhaps at times some self justification. But it also represents her deep love and longings for China, and what her homeland could be. I received a free e-galley copy of this book through the publisher for review purposes via Netgalley.